Do you just struggle to understand financial matters generally? Are you overwhelmed by paperwork, especially things you struggle to understand? Have you been sold investments and other financial products in the past that you don’t really understand? Are you getting the return you need from your savings and investments? Are you about to retire and need help understanding your options? Are you worried about the future cost of your care? Are you worried the Taxman may be a major beneficiary when you die? Are you running out of money and wondering how you are going to make ends meet? Is your Will up-to-date and meeting your needs? How can Clive Barwell help me? By acting as your financial planning navigation system. With a new Client, Clive works out where you are today from a financial point of view, he then listen carefully to your hopes and concerns for the future, which enables him to plot a financial route. Having established an agreed route, Clive then stays with you to keep you on course and help you avoid the financial obstacles life can throw-up. Many of Clive’s clients say that they wished they had met him sooner as they would have avoided more of those obstacles in the past. Contact Clive today to find out how he can help give you financial peace of mind. 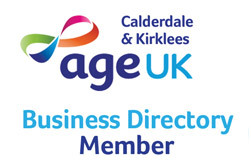 Clive is an accredited member of the Society of Later Life Advisers and adheres to their strict code of ethical conduct at all times which is especially important as he often deals with potentially vulnerable elderly people. Clive also has a current DBS (Disclosure & Barring Service) check for working with adults (and children). To ask Clive a question, please email him at info@clivebarwell.co.uk. 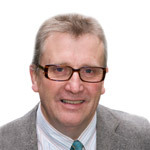 Alternatively, you can follow Clive on Twitter, connect with Clive on LinkedIn, visit Clive’s personal profile on Google+ or his Google+ professional page.